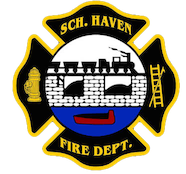 April 15, 2009- At 22:34 the SHFD was dispatched to 17 Pleasant Row, Schuylkill Haven Boro, for a possible house fire. On Duty Chief 720 (Peel) went responding and was advised by county of a heavy smoke condition in the area. As all incoming were rolling in and investigated, it was found to be a wood burner stove malfunction, and the smoke was blowing over the top of the above address prompting neighbors to call the Comm. Center. After a brief investigation, Chief Peel cleared himself and all units witin 20 minutes.